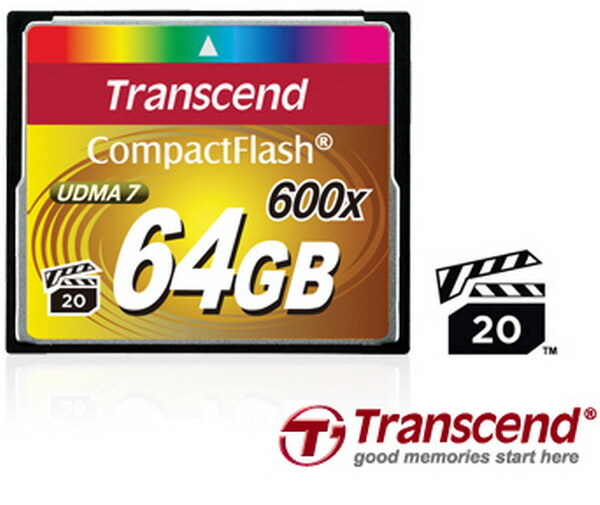 Transcend has announced the market availability of a new line of memory cards that are both fast and spacious enough to store up to 13 000 10-megapixel pics. The novelties belong to the CompactFlash line of memory cards and come in capacities of 8 GB, 16 GB, 32 GB and even 64 GB as well as data transfer rates of 90 MB/sec. The speed allows them to qualify for 600x rating and ensures that high-quality photos and videos can be easily shot and saved. Furthermore, compliance with the VPG-20 specification enables a sustained video capture at up to 20 MB/s without dropping frames. But there’s more – Transcend informs us that the fastest transfer between card and camera is accomplished when the 64 GB 600X CF card operates in quad-channel arrangement using Ultra DMA (UDMA) mode 7. In order to avoid errors that arise from the high speed, the card also features ECC. In case an error is found the Error Correction Code automatically heals it. There’s also a wear-leveling algorithm that prolongs product lifespan. The new cards are shipped with limited lifetime warranty. Unfortunately there’s no word on pricing.